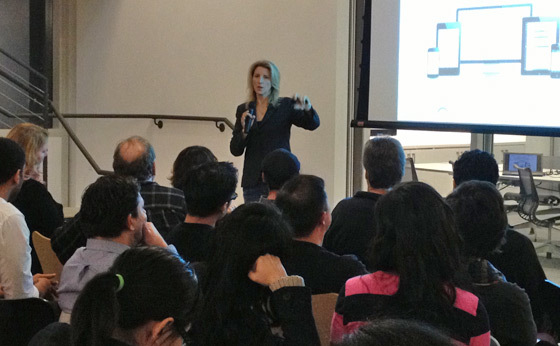 Last week, Janine Warner (@janinewarner), self-described Digital Alchemist, presented Understanding Content Strategy to the Southern California Web Designers & Developers MeetUp group at Huge, Inc.’s new LA Office. Janine gave us a top level look at Content Strategy. Below you will find a brief overview of her presentation and a few links to resources that can help you with your content strategy. According to Janine, a Content Strategist might be a 6-7 headed mythological creature that is likely an ambitious kapelophile. 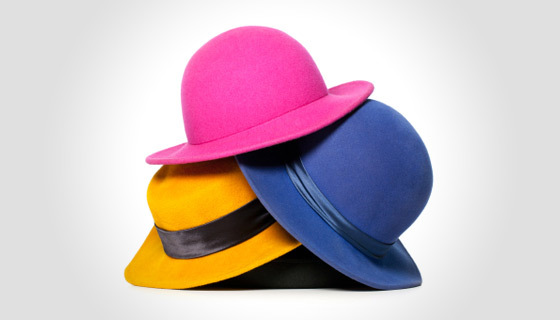 Or in the real world… a Content Strategist is a person who can wear multiple hats through the content creation process. Experts in the Content Strategy field help plan, organize, manage, and create content for websites and other projects. Content Strategists work with clients to discover the best way to communicate key messages that best serve company goals. They also keep the projects on track. Keeping tabs on a site’s content strategy can be a daunting task that really comes down to organization. Janine showed us some of the tools Content Strategists use to keep everything in check. Also known as site maps, flow charts outline how a user will navigate a website. 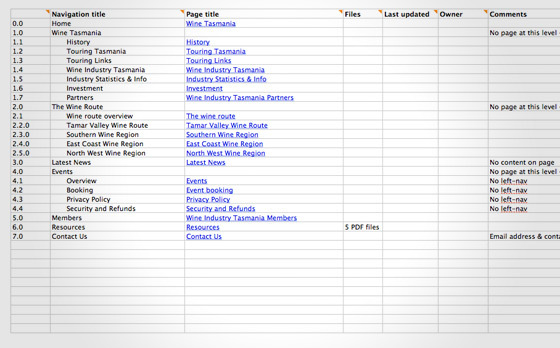 This is also a good way to track of all your pages in the structure of your website. On big projects, content strategy professionals will usually work closely with an information architect to create flowcharts or site maps. On smaller sites, a content strategist may be expected to do this task as part of managing content integration. 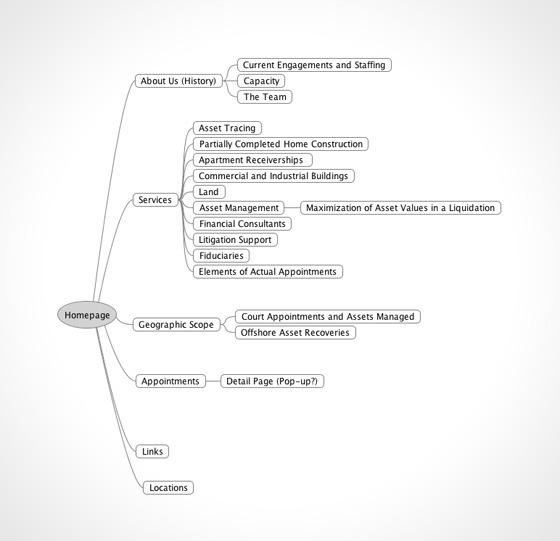 The flow chart above was created with MindMap, a free mind-mapping tool. Most content strategists start a project by conducting a content inventory, a detailed document designed to assess the current content on a site and to keep track of each page’s content, importance and overall goal. It can also be used as a checklist to make sure nothing was missed. Check out Maadmob’s free template to get started with your content inventory. A Gap Analysis is a great way to find out what is missing on your website and what actions are needed to take place to fill those ‘gaps.’ It generally involves sitting down with the client, the Content Inventory and your client’s goals for the website. Is everything listed in the Content Inventory facilitating those goals? If not, add it to the Gap Analysis worksheet and assign team members to fill in the gaps. 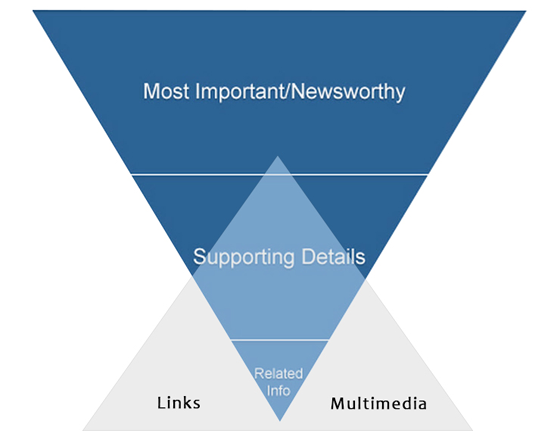 Using a similar approach to journalism, the content strategy for the web should be developed in the model of the inverted pyramid, a technique that prioritizes the most important content first rather than in chronological order. Similarly, Janine recommends that you limit each paragraph to one idea and write headlines that clearly convey the meaning of the story and include keywords for better search engine optimization. As web designers, we often fall victim to knowing our clients too well. In the process of working with a client, we should get clear on their goals and their backstory. But never forget that visitors may not see a webpage the same way as you do. Janine recommends a 3-second test. Show your website to friends and potential visitors and make sure they can identify the goal and purpose of the site in 3 seconds or less. Make sure that headline says what your client does! When was the last time you redesigned a 404 page? If you are a designer, Janine hopes you respond with, “Last project!” The 404 page is one of the most overlooked and underrated pages on a website. Done well, the 404 page can serve as an opportunity to demonstrate your client’s voice and even be a bit silly if the mood calls for it. You can also create a better user experience by giving the site’s visitors the option to search for new content or to visit a new page. You can watch Janine’s course on Content Strategy on Lynda.com at http://www.lynda.com/Web-User-Experience-tutorials/Creating-Effective-Content-Strategy-Your-Website/109764-2.html. Or visit her website at http://www.digitalfamily.com to learn more about her books, videos, and consulting services, as well growing collection of free tutorials on web design. Lastly, I would like to thank Mario Noble (@mndtwit), the organizer of Southern California Web Designers and Developers, for putting on this event. I recommend checking out his next event. No matter what your level expertise you will get something out of it. And, Mario is always great for a good laugh. Thanks Mario! Choose Media Contour, a Los Angeles website design studio to forge your online presence and support your business goals. We would love to discuss being your new partner. Please contact our studio or give us a call at 1.323.522.6004.